Discussion in 'PatsFans.com - Patriots Fan Forum' started by HailHydra, Jan 19, 2019. In the scenario, both AFC teams had a combined roster and same for NFC teams. Who'd you take to win? Here's the AFC roster that I think would make sense. Have seen enough.. NFC wins. Easy answer. BB is coach. He goes with his sqaud with no one from the Chiefs, since they don't know his scheme and no none of the plays. The NFL isn't Madden. You can't plug and play players. It's why the probowl is boring. No scheme and zero chemistry. The nfc would be in a heap of trouble. Here’s a crazy scenario. What if belichick was coaching the rams? Not particularly interested in any hypothetical scenario where Brady is not playing. Hell, I am not even interested in any actual scenarios where he is not playing. Whats the point of watching the SB if we are not in it ? My gif game is failing me. Cool idea for a thread. Big fail there, however. God I hope Brady reads this board. You lost most of us out of the gate and probably the remainder at "QB: Patrick Mahomes"
It's called being realistic and I'm not gonna say that Brady has been better than Mahomes this season when he hasn't. So...create a BS hypothetical and then decide to call further bs (ahem) reasoning being realistic...alrighty then. Staying with 'realistic' if the idea is to assemble one SUPER BOWL team from 2 rosters I'm not gonna say a one year wonder that's never been there is a better choice to bring home the bacon than the GOAT who's done it 5 times already because he isn't. 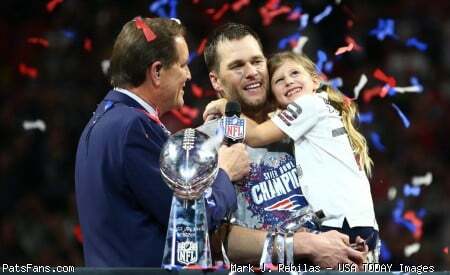 We know the lights aren't too bright for Brady and at this point there's nothing he has not seen, you can only guess when it comes to the kid. He's a phenom and if he can maintain even 2/3's of what he's been this year for a career he will be in Canton, there's no if with Tom F Brady.